You have to see to believe the enormous selection of Ladies Deluxe Oktoberfest Costumes we keep in stock all year round. Find Superior Quality Oktoberfest Corsets, Dirndls & Fancy Maidens Attire along with all the Oktoberfest Accessories you could possibly need. Get Supreme Quality Oktoberfest Complete Costumes like this Lovely German Maiden Ensemble. You could also find Median Priced and Economy Costumes for Theme Party or Oktoberfest Celebrations. 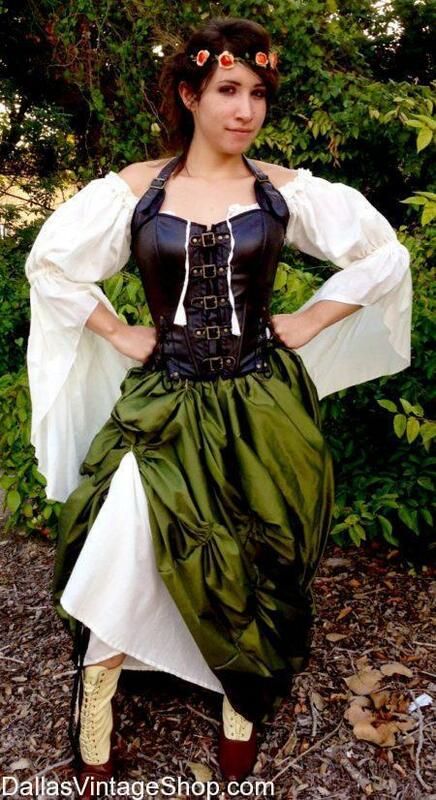 Keep in mind, we have an abundance of German and Bavarian Costumes for Ladies Theatrical, Historical or Renaissance Festival Garb and Supreme Quality Oktoberfest Professional Performers Outfits. We are the largest German & Oktoberfest Costume supply source in the Dallas, DFW and North Texas Area.